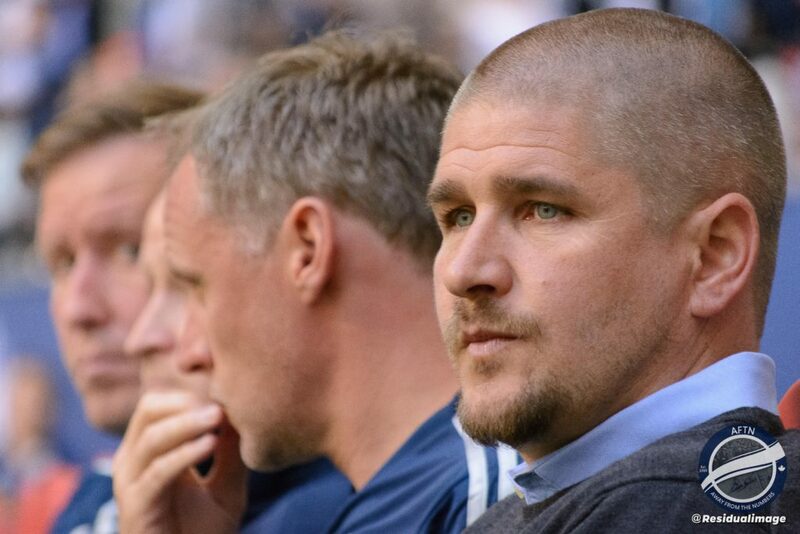 When Carl Robinson was hired in December 2013 it was an angsty time for supporters. The Camilo saga had just unfolded and our progress into the higher echelons of the MLS competition was halted. Martin Rennie had missed the playoffs and although we had the Golden Boot man, the next level required a steadying hand. When Camilo disappeared, and the front office was stymied in its efforts to hire a brand name coach, supporters turned on the club, wondering what was going on. Robbo stepped forward from the ranks and took the job even though, by his own admission, it was several years too early in terms of his own development. There were two thoughts that went through the Southside then: why hadn’t we been able to land an experienced coach, and what resources would this guy have at his disposal? I think there was a deep seeding of distrust and cynicism towards the front office at that time and that dogged Robbo’s time here. It would be hard to say that he was a universally loved coach by supporters, but equally hard to say that we universally disliked him. There is no question that he elevated the club to the next level, but, as others have pointed out, his tactics seemed to lag about a year behind the rest of the competition and he was pegged early as too defensive and too easy to figure out. For supporters this had the lingering effect of being behind him, but not sure what he was doing on a regular basis. His stubborn commitment to the 4-2-3-1 with players often playing out of position and his carved-in-stone 60th minute subs leant him an air of boring predictability. His sideline antics, including regularly berating officials, handling the ball, and getting chummy with opposition players were odd tics that didn’t endear him to everybody. He was perhaps the Capsiest part of a Capsy era. It’s easy to find fault with a guy on the occasion of his departure from the club, but Robbo was a much more complicated figure as seen from the stands. I was a defender of his for many years, probably against my better instincts, but as a result I developed some rationale for why we should have kept him on past his best before date. First and most obviously, he brought us a trophy. 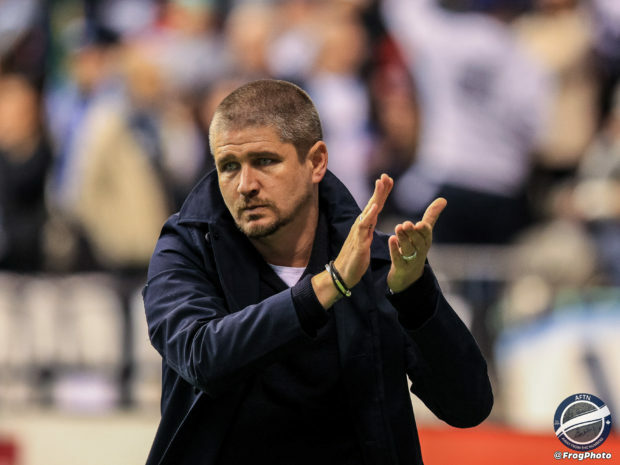 Winning the Voyageurs Cup, the most cursed competition in Whitecaps history, was perhaps my favourite moment of the Robbo era. To stand singing for our champions, watching Pa Modou Kah accept a winner’s medal on a hovverboard, celebrating with the players in the Southside, was a dream come true. To lift a trophy at home is always the goal and he brought us that. That was the peak moment for me, never to be forgotten. Second, I always appreciated the guys that thrived under his attention. 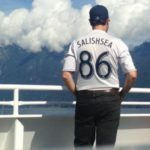 While he can perhaps be rightly knocked for stunting the development of players like Sam Adekugbe and Ben McKendry, and held responsible for not always being able to get the best out of Darren Mattocks, Kekuta Manneh, Russell Teibert, and Marco Bustos, we nevertheless saw some players thrive under his attention. Kendall Waston, David Ousted, Nicolas Mezquida, Alphonso Davies, Jake Nerwinski, Tim Parker, Matias Laba, Erik Hurtado, and others thrived on his team and became fan favourites (to varying degrees) as a result. I give his development ethos a middling grade, and I hope the next manager can bring more to that aspect of the club. Third, let’s be fair. We got to see some riveting football over the past five years. The “five cup finals” of the 2014 run in, with a healthy Pedro Morales at the helm, gave us hope that something was going to change, that we were on our way to the next level. The defiant bounce back in 2017 from the disappointing playoff miss the season before. There were games that will be etched in our memories for a long time to come, including the 5-0 pasting of San Jose in last season’s playoffs, and the 2-0 dismantling of Bruce Arena’s La Galaxy in 2015. The home opener in 2014 when we defeated the Red Bulls comprehensively and announced our intentions to play creative, attacking football. Unfortunately for Robbo, there were more games seared into our mind that let us down. For me the shine was fully gone after the second leg in Seattle last fall, when club staffers made the rounds in our away section offering apologies for what we had witnessed. And then this season, there were Cup final losses, missed chances, and embarrassing scorelines to contend with. We took on the identity of a good team that couldn’t play in the big games, and the blame rested with Robbo. We seemed to be saddled with expensive players with aimless functions. We demanded change, demanded better, but there was no way to do that beyond our awkward open letter and a large ‘Fine Lines’ banner, taking a shot at what seemed to be Robbo’s way of dismissing a loss. We were always just not lucky enough. 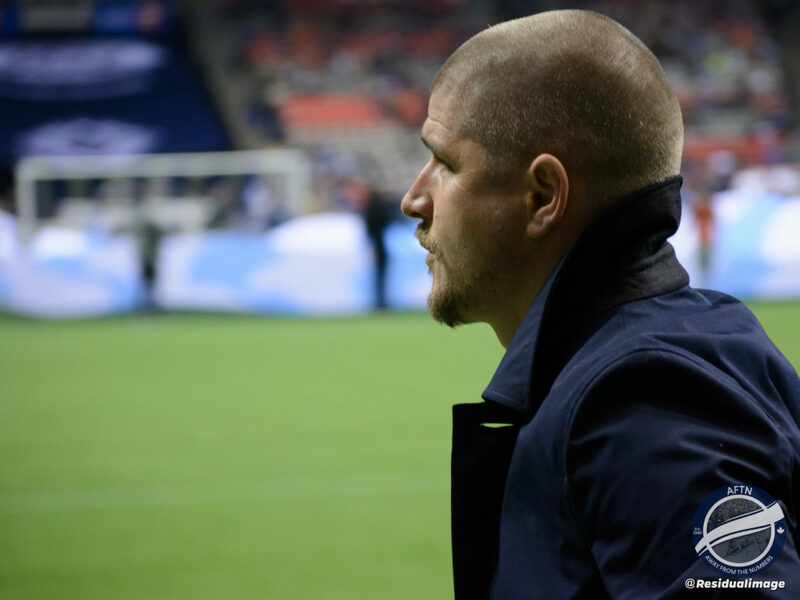 The writing was clearly on the wall this season, and the Voyageurs Cup Final loss was a pivotal moment. The only thing worse than being beat in a cup final is being embarrassed in a cup final. Season ticket renewals were down, and ticket reps were getting feedback that folks would not be returning unless there was a different style offered up. Last Sunday’s loss was obviously the final straw, and by that point even the last holdouts of the #OptimistsUnion were calling for change. Robbo knew it. He took responsibility, and two days later, was gone. There are clubs who hire a manager and it’s a big mistake. He takes potential and destroys it, ruins the trust between supporters and team, and sends a community into despair. Robbo was not that kind of manager. He was good, but not great. He had strengths, but his weaknesses were overwhelming. He probably didn’t have the resources he needed, but then he wasn’t starved for them either, and he achieved some very good finishes. It seems many writers are judging him to “have done well with what he had.” I won’t disagree, but this year, it all caught up with him. He took us some way to being great, but he wasn’t the one to take us all the way. So I wish him well in his journey, and I’ll be following along wherever he lands. He could turn out to be a very good manager in another five years. I have no doubt he’ll stay in the game in a visible way and accept a new challenge, all the better for his years of learning on the job here. 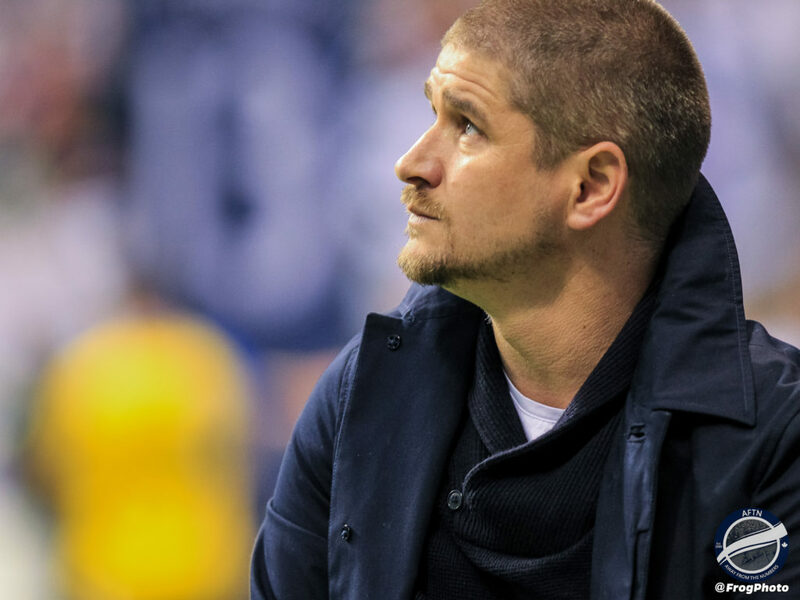 And for us – those who have the permanent football jobs in Vancouver – we get to welcome Craig Dalrymple to the fold for the remainder of the season. A local Northshore boy, a Whitecaps alum, and a key part of the development set up. I hope he does well, and he has my full support. And then the search will continue and the winter will be most interesting. We’re coming up to a moment of big transition and an opportunity that is once in a generation. Our owners need to use this chance to build an MLS 3.0 team that can compete with the rest of the league. If we are serious about winning a championship, as Bob Lenarduzzi repeated again this week, it is going to take a steady and experienced hand on the helm, a smart investment of the Davies windfall, and a strong commitment to resetting the relationship and accountabilities between the players and the staff and the supporters. We have got our wish. Our job now is to be a part of the next era.